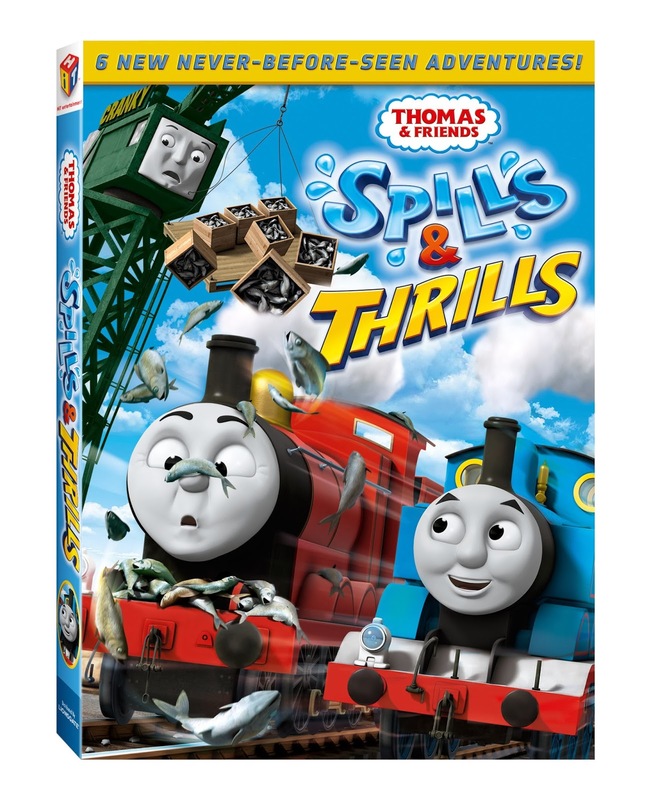 Sparks fly on the Island of Sodor as Thomas and his engine friends race around in these action-packed and slippery tales of friendship and fun, in Thomas & Friends®: Spills & Thrills available on DVD, Digital HD and Video on Demand March 4, 2014 from Lionsgate and HIT Entertainment. Featuring six exciting never-before-seen episodes, Thomas and his friends learn that even when mishaps happen, an adventure always awaits! All aboard for Spills & Thrills with Thomas and his friends! The Island of Sodor is always bustling with activity, yet when the engines try to be "Really Useful" they often find themselves in some messy muddles! James tries to prove he's not afraid of the dark, or too vain to haul smelly fish, but when he pulls the night time Kipper Express he gets more than he bargained for! Stephen's need for speed, and Salty's need to impress, sends them both into some sticky, slippery situations. Hiro shows Diesel that nice engines do finish first and Sir Topham Hatt shows you can't cry over spilled milk...twice! It’s full steam ahead for Spills & Thrills on Sodor! Your children will love watching episodes like "The Smelly Kipper", "Gone Fishing", "Away From the Sea" & many more! Stick around for bonus features like the Biff Bash Bosh Game, Go Go Thomas Karaoke Music Video & the Guess Who? Puzzles! Thomas the Tank Engine™ was created by a father for his son nearly 70 years ago and today is enjoyed by families in more than 185 territories and in 30 languages. The #1 True Blue Engine and his friends invite children to enter a world of imagination through the tracks of a train and the words of a story. Children embark on adventures with their engine friends while experiencing timeless life lessons of discovery, friendship and cooperation. Thomas & Friends is the number one preschool toy license in the US and has been a top five preschool entertainment brand in the US since 2009. 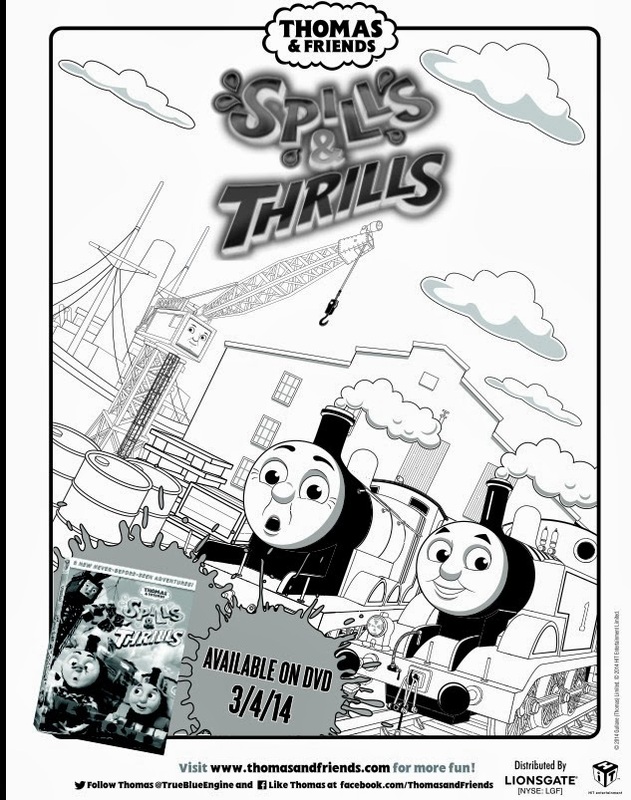 Buy it: Thomas & Friends, Spills & Thrills will be available 3-4-14! 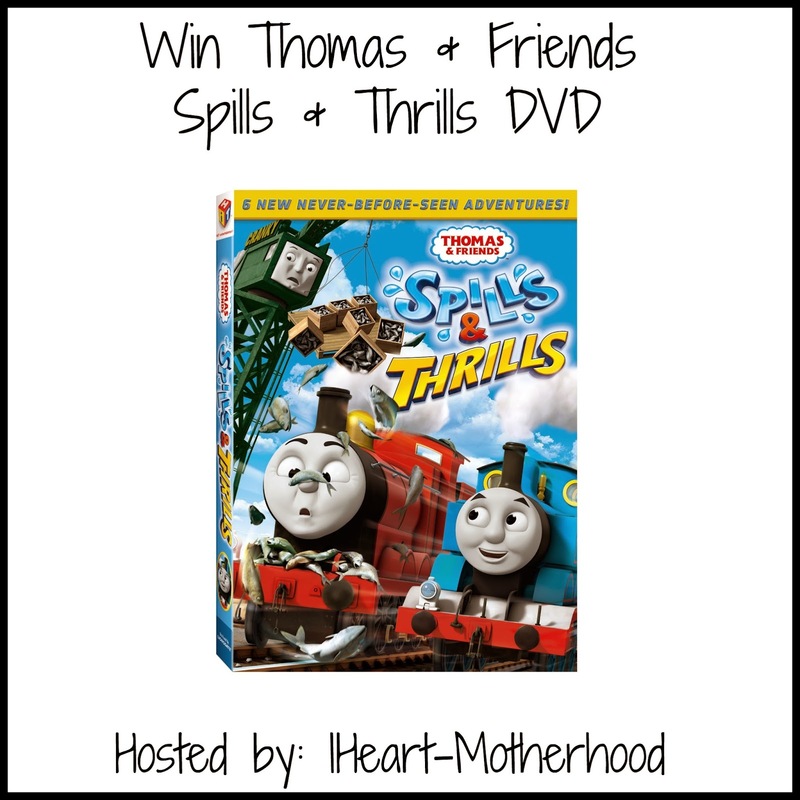 Win it: One lucky reader will win the Thomas & Friends, Spills & Thrills DVD! My grandson's favorite character is Gordon! My grandaughter loves Thomas! I had to ask her lol! His favorite character is Flynn the fire truck engine. I just asked my son; he said Percy is his favorite. i'm not sure which character is my daughters favorite. my nephew loves this show though. I love Emily but my son loves Percy! i like all the characters, since theyre awesome. thomas and friends is making tracks to great destination.